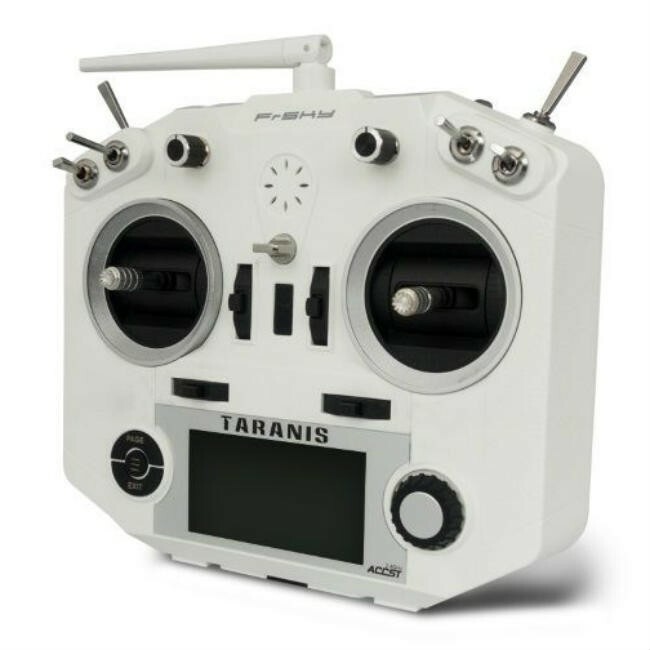 The FrSky ACCST Taranis Q X7 2.4GHz 16 channel Radio Transmitter White colour finish is the latest radio controller from FrSky which has beeen designed for quadcopter and drone racing pilots. 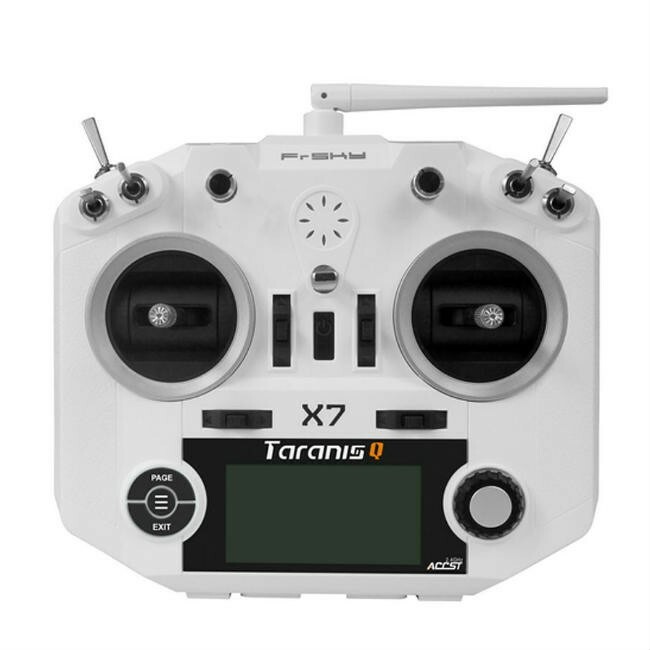 The Frsky Taranis Q X7 2.4Ghz follows on from the very popular Frsky Taranis RC X9D Plus, and is their latest powerful radio system in the FrSky range of radio controllers. Being a lightweight feature packed reliable radio controller system, the Taranis Q X7 is aimed primarily at the drone racing pilots. The Taranis Q X7 radio includes the haptic vibration feedback system, this will provide an alternative feedback system to the voice and sound alert warnings. With 16 channel's and smooth ball bearing gimbals which are spring loaded to return to center, this also makes changing from mode 1 to mode 2 extremely easy in the radio software. For pilots that like to have a non spring loaded stick this can be done quickly by unscrewing four screws and removing a spring. 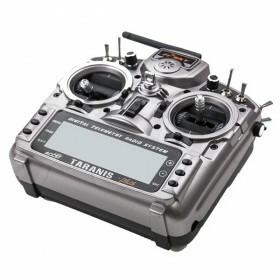 This radio has a good feel and a level of functions normally found on more expensive radio controllers, the Taranis Q X7 features six switches and two knobs for the highest level of flexiblity. Running on OpenTX means that the Frsky Taranis Q X7 files can be shared with the popular X9D Plus. The MicroSD card slot offers unlimited model memory options and the radio controller can be upgraded via the USB port or adjusting the settings from a PC. 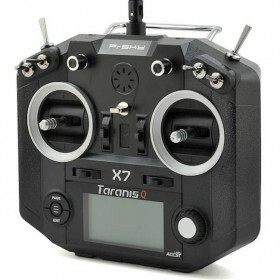 One of the best features of the Taranis Q X7 is its full telemetry capability, as well as RSSI signal strength feedback. Wheel and center enter button makes navigating the backlit menu easy and precise. Equipped with an audio jack output and trainer port as well. And of course a module bay for use with the ImmersionRC EzUHF JR Module for longer range flying or can be used with other protocol receivers and with the use of a FrSky XJT module this radio can support up to 32-channels. 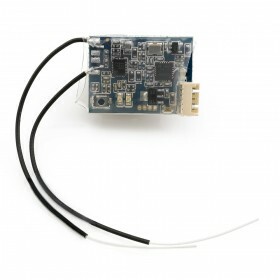 Other features include Receiver Match, Real-Time Flight Data Logging and Super Low Latency for precision flying. Overall this Radio has the features of more expensive transmitters at a great price point in the radio controller market.